high-quality fresh meat, medicinal herbs and fruit extracts. Highest quality ingredients give a taste that dogs love. 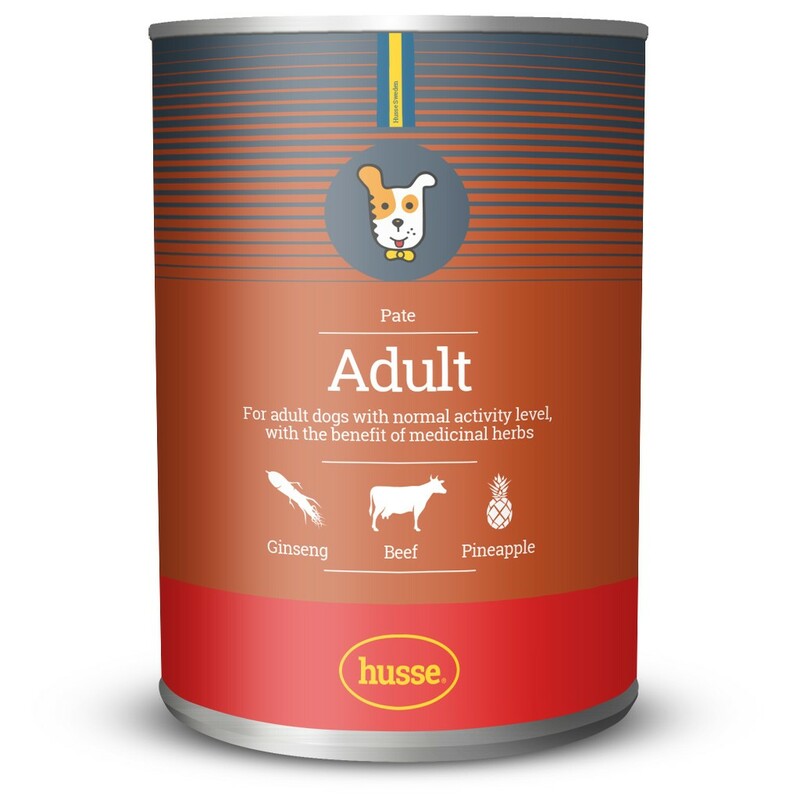 High quality proteins, good vitamin integration and good digestibility make pate a healthy meal for your dog. Natural, free from colourants and preservatives. well-being. It can increase resistance to stress. Pineapple is good natural source of vitamins and minerals. A bowl of fresh water should always be available to your dog. Keep open tin refrigerated (max. + 8° C) and use within 2 days. Fresh meat and meat-by-products 80% (of which beef 14%), densifiers, sunflower seeds oli, ginseng extract 0,5% min., pineapple extract 0,5% min., mineral salts. Vitamin D3 400 U.I./Kg, Vitamin E (Alfa- tocoferol 91%) 70 mg/Kg, Copper 4,0 mg/Kg. Moisture 81,0%, Raw protein 8,0%, Raw fat 5,5%, Raw fibre 0,3%, Raw ash 2,0%.